Yep. Somebody in my house, I forget who, accidentally said "smorgasborg" the other day. Might have been me. Anyway, Word To Form (WTF) syndrome kicked in hard. And here we are. 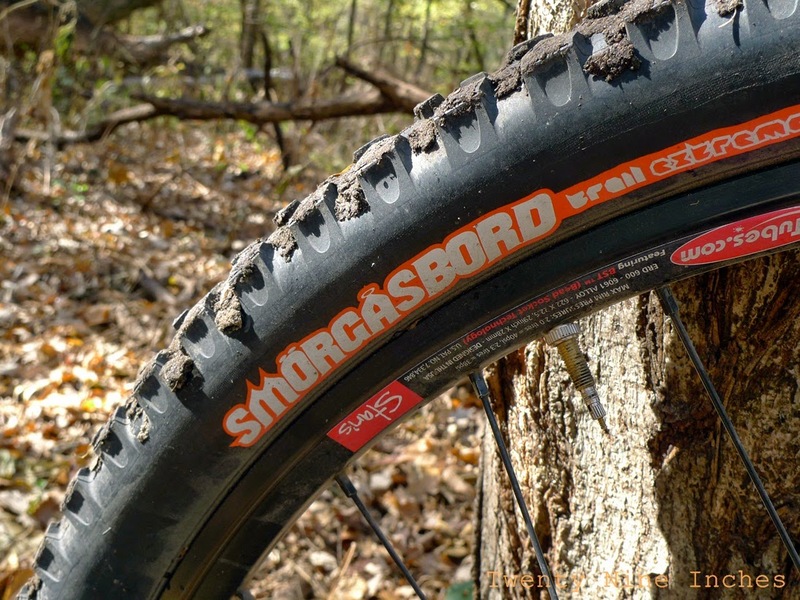 image source - a review of tire pictured above - that be cycling content right there, uh huh! John - you old perv. Wow. 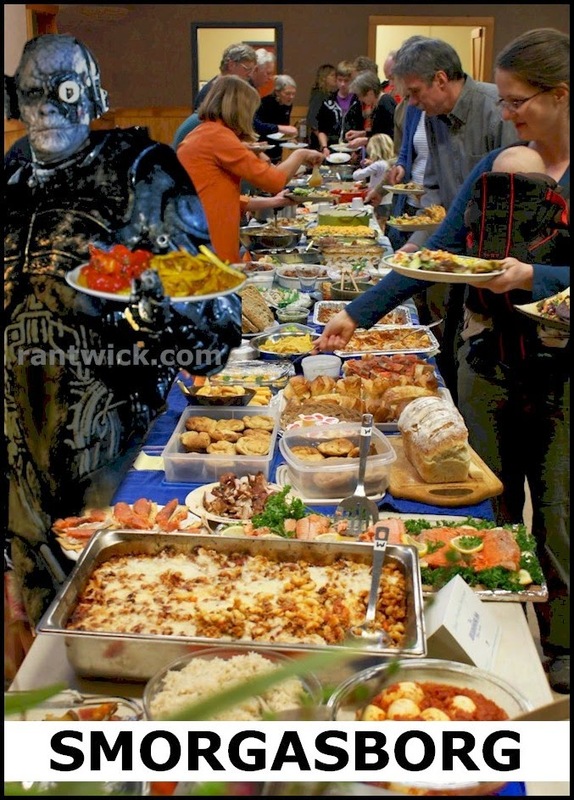 I only saw the title of your post and immediately thought, "a buffet where resistance is futile." Just One Day Ago - Snow! SO CLOSE to open bike paths - Can't Wait.